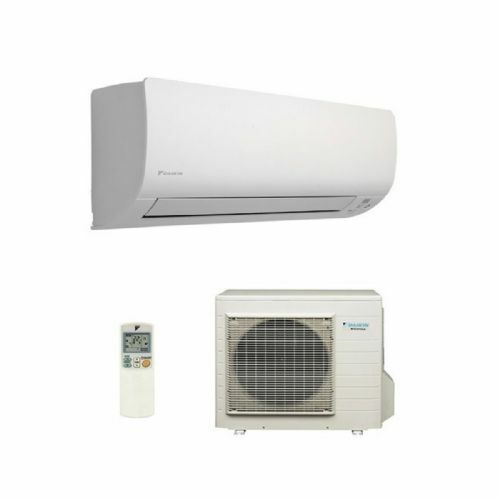 E Series heat pump water chillers efficiently and easily adapt to a wide range of cooling capacities. The range all contain Inverter scroll hermetic compressors for enhanced efficiency and control. 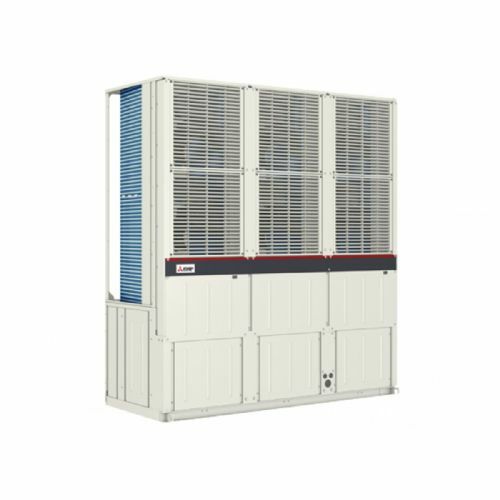 The e-series chiller allows for up to six individual units to be connected together to provide a system capacity from 90kW to 1,080kW. 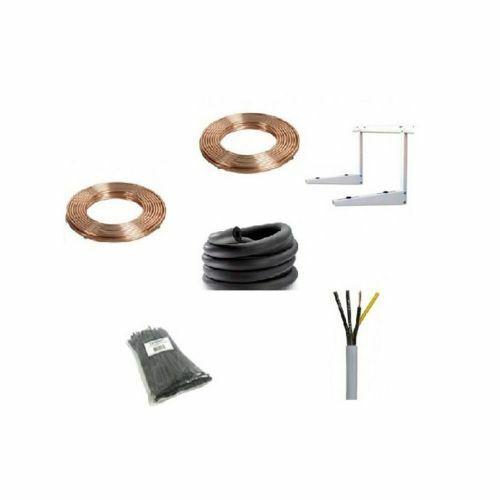 Using this modular approach reduces space requirements and simplifies lifting and installation. 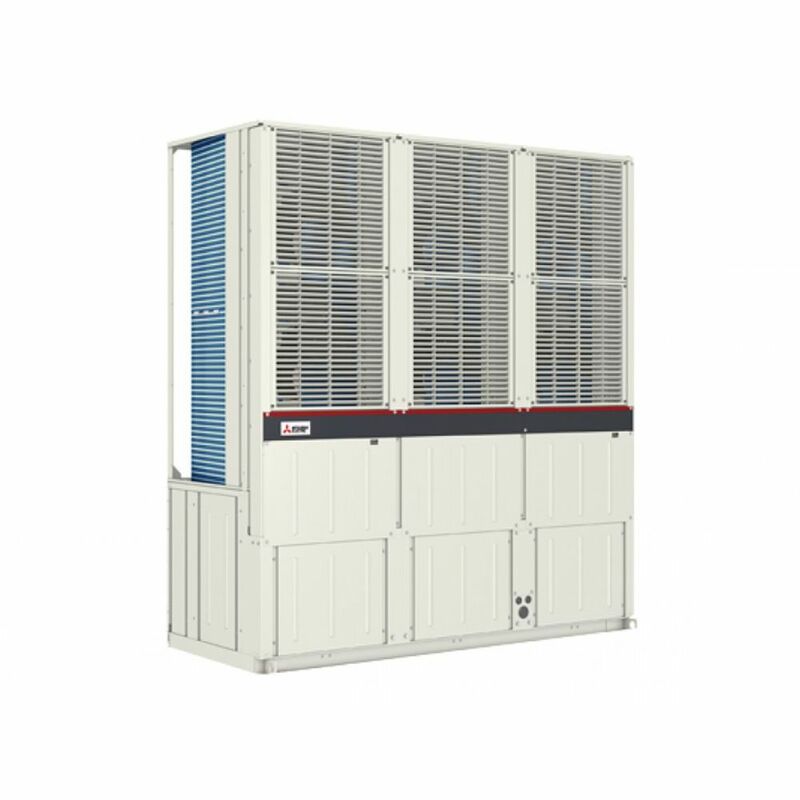 The e-series chiller is available as a cooling only or heat pump version, suitable for both comfort and process cooling applications. 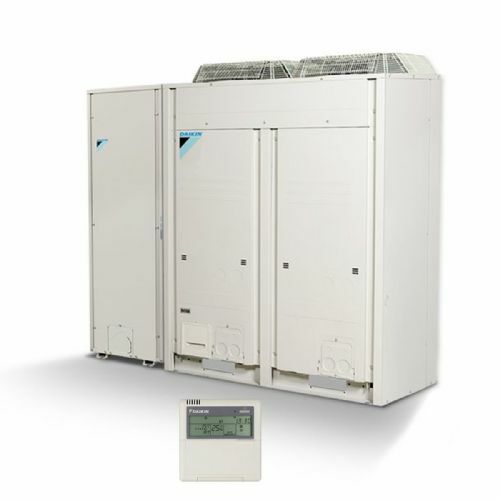 Two advanced DC inverter-driven scroll compressors are incorporated within each 90kW module. 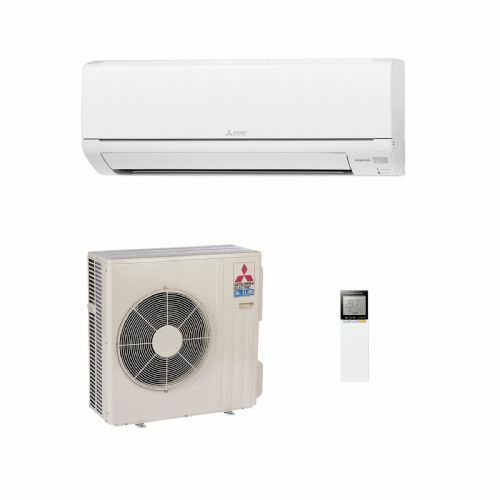 This gives a capacity range of 8% to 100% for each module. Two-stage cooling circuit, both compressors serve separate plate heat exchangers located in the centre of the unit. 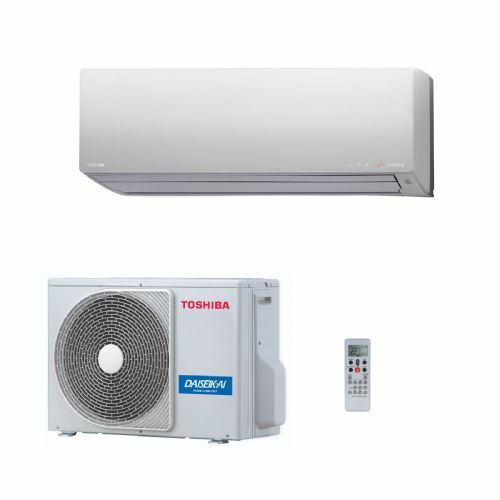 By modulating the evaporating temperature individually, overall system efficiency can increase by an additional 3.9%, compared to single evaporating refrigeration cycles , each of the two refrigerant circuits has three separately controlled, inverter-driven DC fans, allowing for more precise control to save energy and optimise system efficiency. 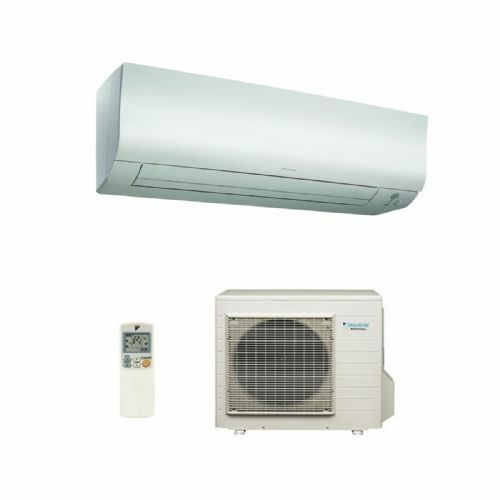 Access for the control box and other service parts is located at the front of the unit to ease service and maintenance regimes. 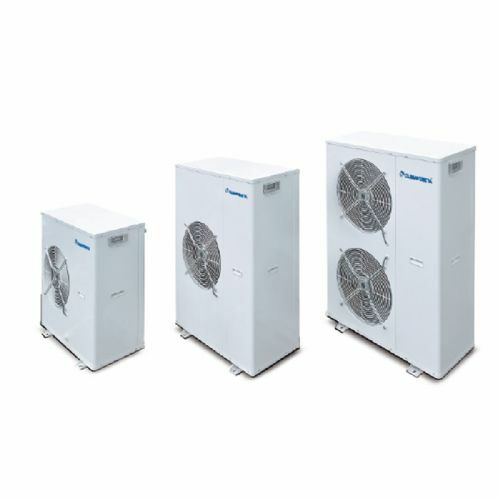 The use of U-shaped heat exchangers allows for a greater surface area whilst also keeping the units much narrower than conventional chillers. Blue Fin anti-corrosion coating on the heat exchanger is also provided as standard. The fan blades have improved ventilation characteristics and a newly designed rear edge that suppresses wind turbulence to increase efficiency and reduce noise levels. 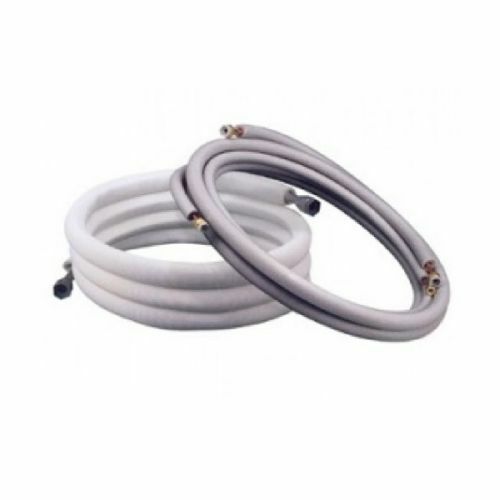 The in-built internal header pipes simplify design, installation and maintenance and makes the e-series range modular and suitable for almost any situation. A dedicated digital indicator inside the PCB displays high pressure, low pressure, water inlet temperature, water outlet temperature, error codes etc., thereby aiding service and maintenance. *1 Under normal cooling conditions at outdoor temp 35ºCDB/24ºCWB (95ºFDB/75.2ºFWB) outlet water temp 7ºC (44.6ºF) inlet water temp 12ºC (53.6ºF). *2 Under normal heating conditions at outdoor temp 7ºCDB/6ºCWB (44.6ºFDB/42.8ºFWB) outlet water temp 45ºC (113ºF) inlet water temp 40ºC (104ºF). *3 Pump input is not included. *4 Pump is not included in e-series. *5 Calculated based on EUROVENT condition. *6 Under normal cooling conditions at outdoor temp 35ºCDB/24ºCWB (95ºFDB/75.2ºFWB) outlet water temp 7ºC (44.6ºF) inlet water temp 12ºC (53.6ºF) capacity 90kW water flow rate 15.5m3/h. *Please always make water circulate, or pull the circulation water out completely when not in use. *Please do not use groundwater or well water in direct. *The water circuit must be closed circuit. *Due to continuous improvement, the above specifications may be subject to change without notice.